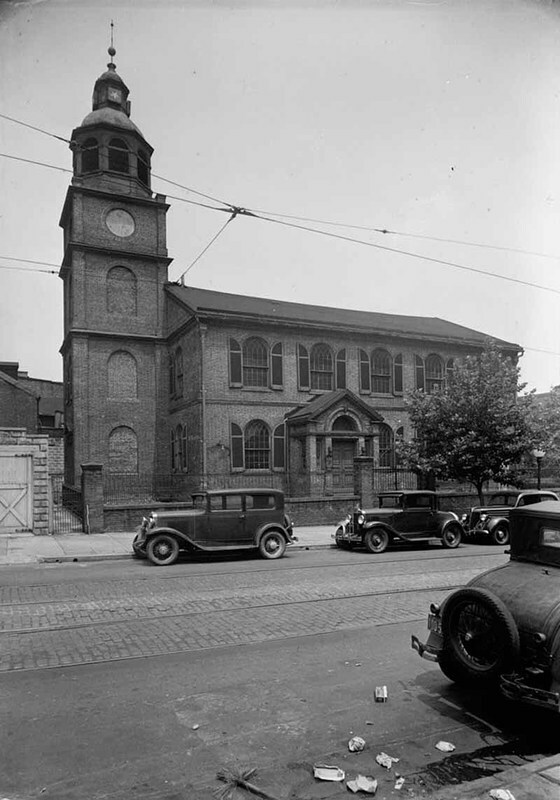 Old Otterbein Church, built in 1785, is one of the oldest churches still standing in Baltimore. With its classic brick and white trim tower (with bells brought over from Germany), the church shows off its landmark stature for countless Orioles fans and anybody traveling around downtown and Camden Yards. 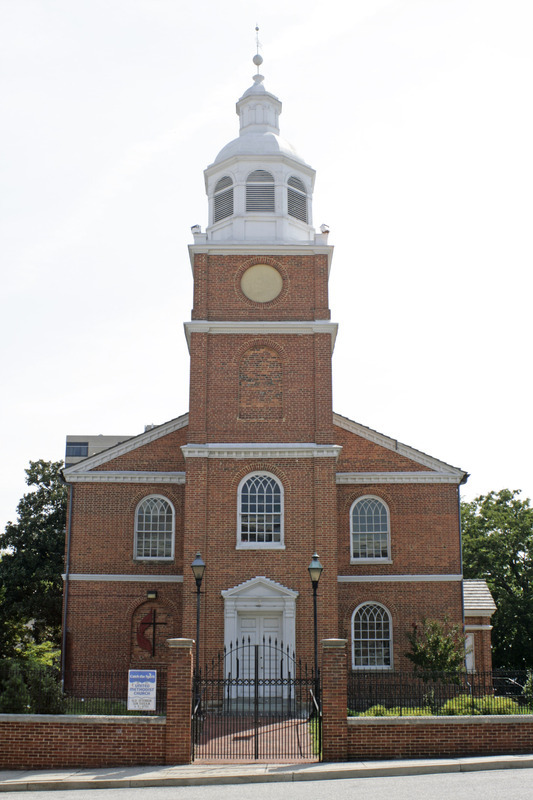 Old Otterbein got its start in 1771, when a group of Baltimoreans erected a temporary chapel to house the German Evangelical Reformed Church. A few years later, the church hired Philip William Otterbein as pastor. Otterbein had come from Germany to Pennsylvania, and accepted the position in Baltimore as his fifth pastoral duty. Otterbein apparently took to Baltimore, preaching at the church for 39 years and staying in the city for the rest of his life. Otterbein was a remarkable man. 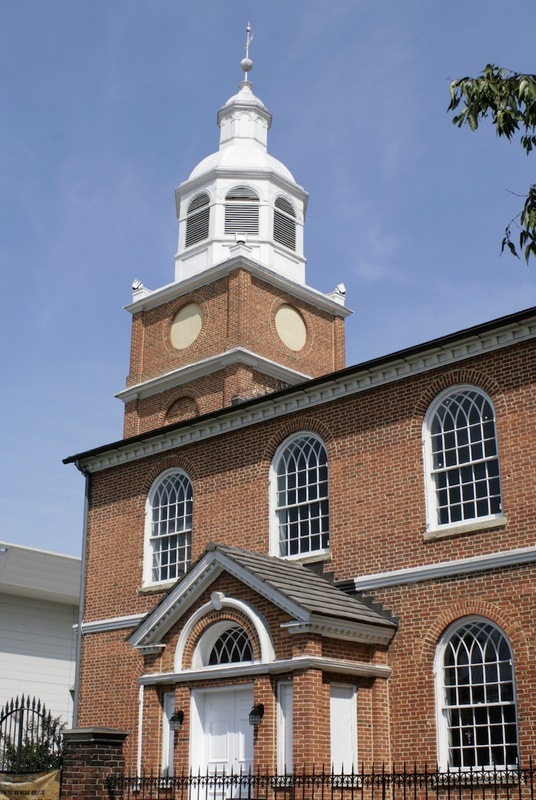 In 1784, he assisted Francis Asbury in founding the Methodist Episcopal Church, and in 1800, he and Martin Boehm helped found the United Brethren in Christ, with Otterbein's church in Baltimore as the cradle of the new denomination. 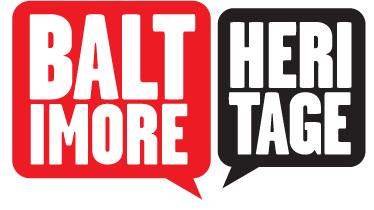 Members of Baltimore’s German immigrant community played a central role in the defense of Baltimore during the War of 1812 from Peter Gold and George Decker who volunteered as superintendents overseeing the construction of fortifications, Brigadier General John Stricker who commanded the Maryland Militia at the Battle of North Point (and later became Vice-President of the German Society of Maryland), and the Baltimore Jagers and die Union Jagers - two companies of German immigrants commanded in the German language. Many of these men, along with their families, worshipped with Philip William Otterbein at what is now Old Otterbein Church. Otterbein himself died less than a year before the Battle of Baltimore and remains buried in the churchyard with a monument placed over his grave in 1913. 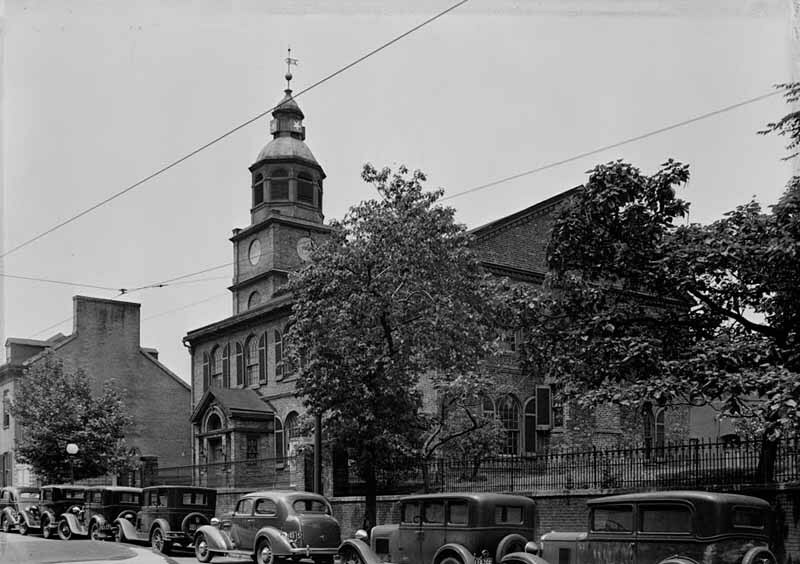 The present church structure was erected in 1785, with the nearby parsonage in 1811 and the city's first German Sunday School in 1827. 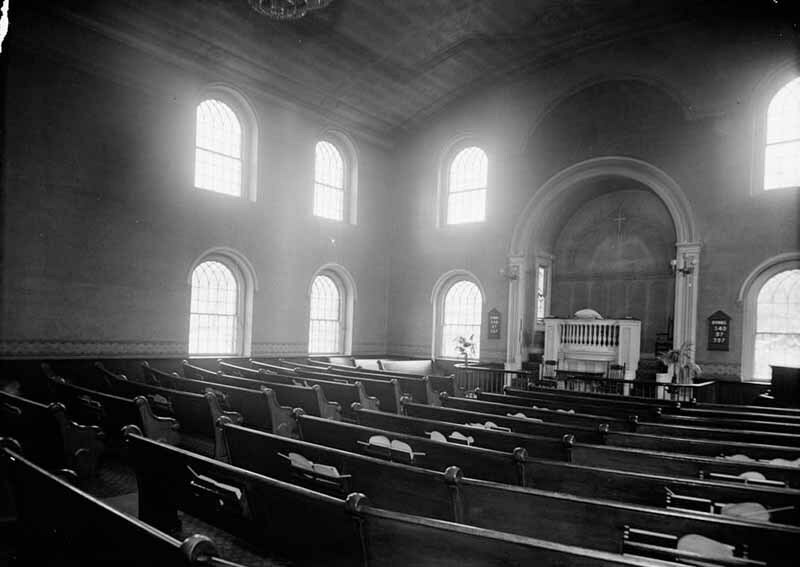 The interior of the church has been remodeled at various times, but the sanctuary remains the oldest in continuous use in Baltimore. 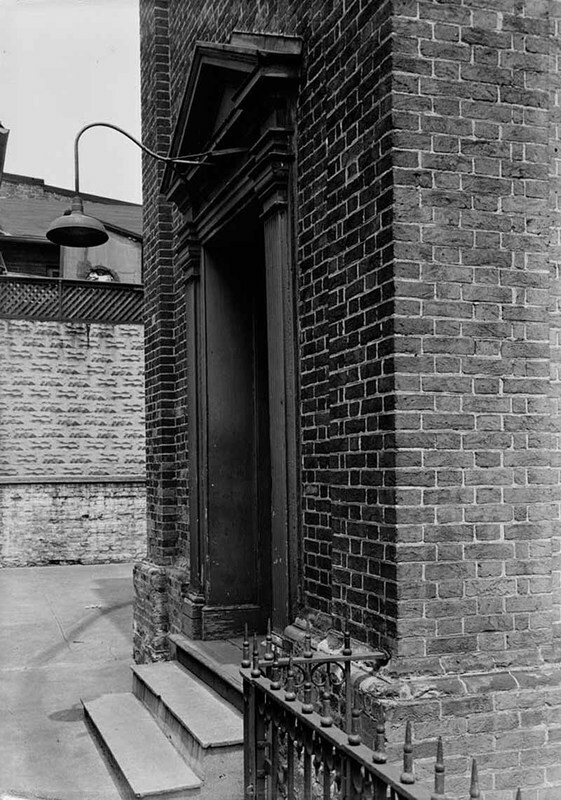 Johns Hopkins, “Old Otterbein Church,” Explore Baltimore Heritage, accessed April 19, 2019, https://explore.baltimoreheritage.org/items/show/40.